By Xah Lee. Date: 2012-05-30 . Last updated: 2015-12-21 . 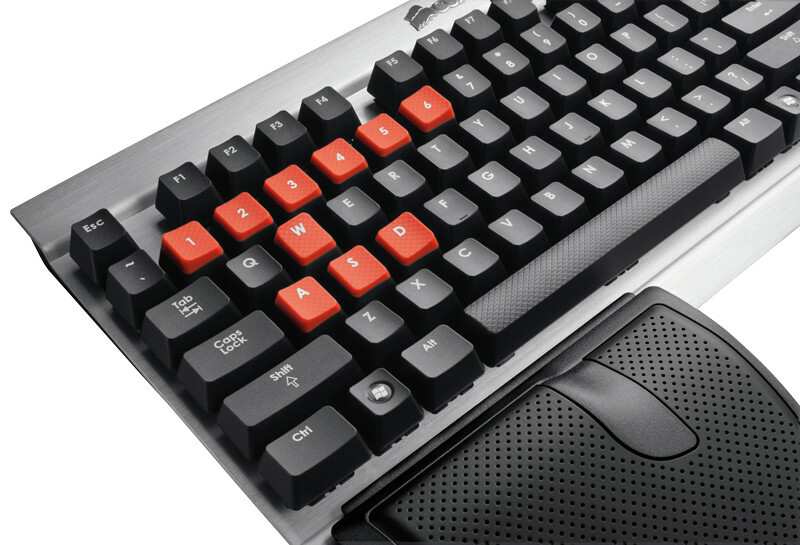 The Corsair K60 Keyboard came out around September 2011. This is EXCELLENT in quality, but some points are not so good. One common complain is that the key labels wears off easily. The following keys use rubber dome switch: F1 to F12, Escape, Print Screen, Scroll Lock, Pause/Break, Insert, ⌦ Delete, Home, End, Page Up, Page Down. This keyboard is really heavy. It doesn't have fancy features or extra keys, but the most important aspect of keyboard, the key mechanism, is top-notch. It seems to require 2 USB ports. However, the keyboard also has a USB port (pass-thru, not hub). 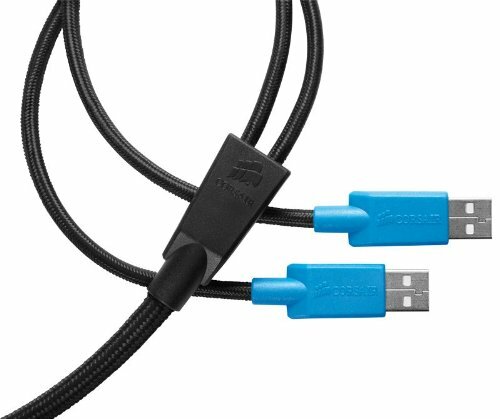 According to their tech support post on amazon, the second USB is for the purpose of the pass-thru port. 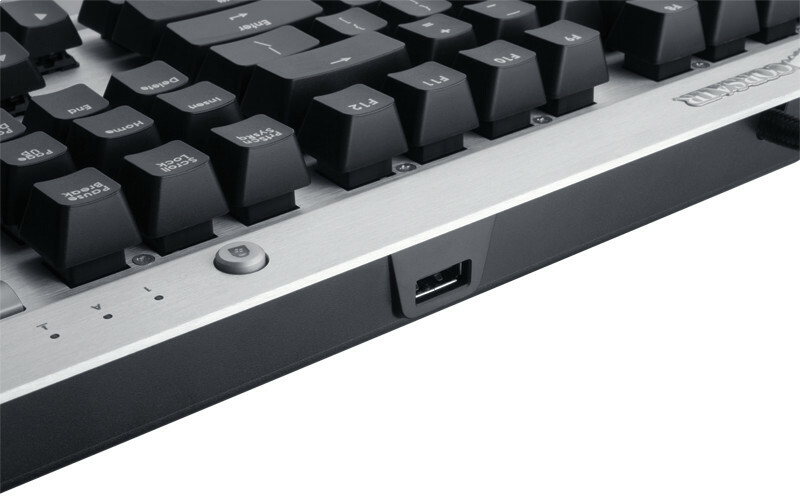 The back of the keyboard, showing the USB port, and the Windows Lock key (it prevents the ❖ Window key from activation.). 20 Key Roll-over (20KRO) on USB. Love the drum roller sound level controller.